StoryCorps: A Fitting Tribute For A Stargazing Love: One Last Trip To The Moon Gene and Carolyn Shoemaker made a life together gazing at the stars. So when Gene died, Carolyn could think of no better resting place for his ashes than one of his favorite places — the moon itself. 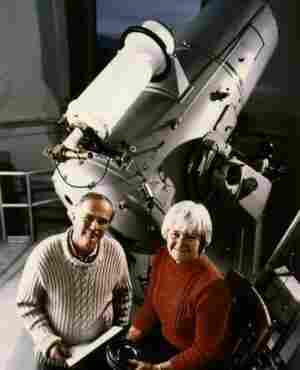 Gene and Carolyn Shoemaker made a life together gazing at the stars. For 17 years, the couple worked side by side — Gene, as a renowned astrogeologist, studying planets and other celestial bodies, and Carolyn, who had turned to astronomy later in life yet discovered more comets than most pros. 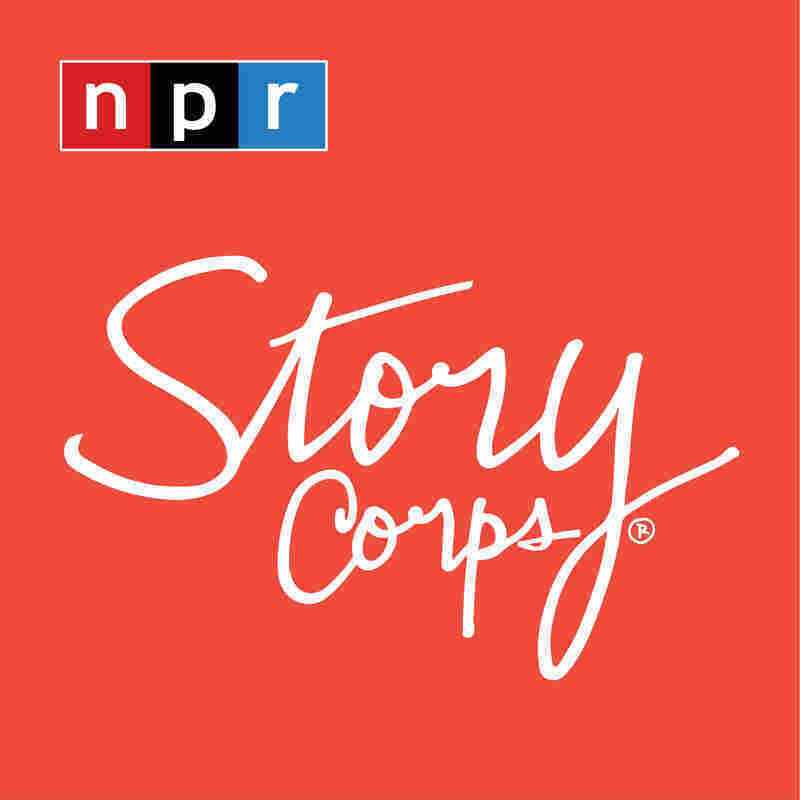 "When I was 50 years old and my kids were grown, Gene suggested, well, maybe I would like to try my hand at astronomy a little bit," Carolyn tells her son-in-law Phred Salazar, on a recent visit with StoryCorps. "I'd never stayed awake a whole night in my life," she continues. "But I found 32 comets" — a tally that was enough to earn her the nickname "Mrs. Comet." Their work together came to an end with Gene's death in a car crash in 1997. That head-on collision, on a dirt track in the Australian Outback, claimed Gene's life and nearly took Carolyn's as well. She had been beside him in the car and emerged from the accident seriously injured herself. "Gene and I had never talked about what should happen to us when we died," Carolyn says, "but I was still in the hospital, and here was a phone call from Carolyn Porco." Porco had been one of Gene's students. And she had a proposal to run by Carolyn. There was little time to waste; Porco had to ask it right then and there. Carolyn Porco's design of the inscription that was etched onto the capsule of Gene's remains sent to the moon. She told Carolyn that the spacecraft Lunar Prospector was headed to the moon soon. "She hated to bring it up to abruptly," Carolyn recalls, but Porco had to ask: Would Carolyn consider sending Gene's ashes in a capsule on that rocket? "It was an easy decision," Carolyn says. "He always wanted to be on the moon. And so I knew that Gene would be just elated if he could go to the moon — at last." 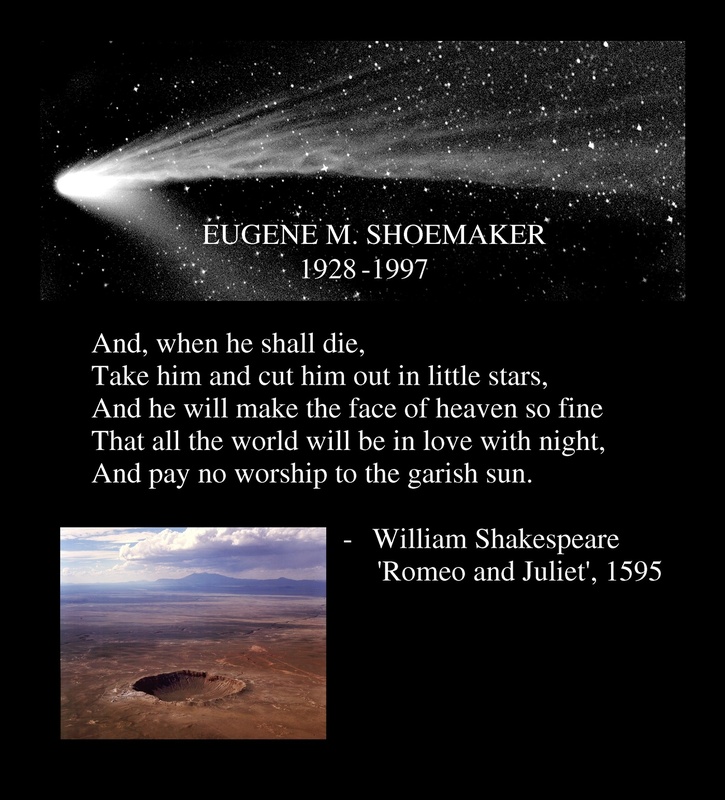 To this day, Gene Shoemaker is the only person whose final resting place is the moon. "I miss him every day. But to this day, you know, I look up at the moon and I can imagine him up there running around looking at craters," Carolyn says. "Just knowing his joy in it gave me — still does — a lot of joy." Audio produced for Morning Edition by Von Diaz with Sarah Min.